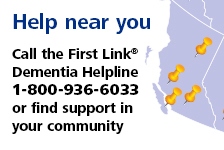 Long distance caregiving | Alzheimer Society of B.C. This workshop looks at the issues of caring for someone with dementia from a distance. Family caregivers will learn strategies to better cope with the challenges of long-distance caregiving.